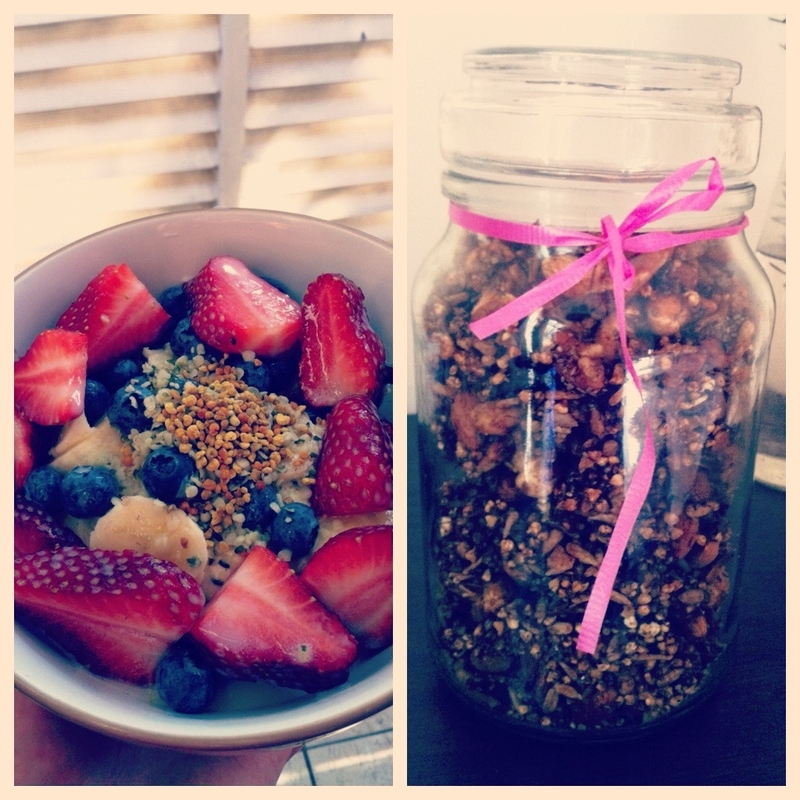 The warmer weather is here and it’s time to put away the porridge and bring back the muesli! And by muesli I don’t mean store bought junk packed full of sugar and preservatives, I mean homemade, super delicious, HEALTHY muesli. Here’s a recipe I created on a Saturday-night-in last weekend. It’s gluten, dairy AND sugar free. It doesn’t take long to make and is totally worth it! Feel free to try different nuts, seeds, fruit etc and experiment with this recipe. Enjoy! Simply combine all ingredients on a baking tray lined with greaseproof paper (unbleeched). Slowly bake in the oven on 100 degrees C for approx 4 hours or until golden and crunchy. Give the muesli a stir every 45-60 minutes whilst baking. Serve with yogurt, almond milk (or milk of your choice) or fresh fruit. Hi Ashleigh, I love a good muesli but avoid sugar at all costs. You mentioned this was a sugar free recipe yet it contains maple syrup which has fructose and sucrose doesn’t it? I think the 12 dates would up the sugar content markedly too. Processed sugar or not – our bodies still treat these ingredients like sugar. I wonder if even rice malt syrup would be a better alternative if people are looking for low sugar options? Sounds great, but how do i make puffed rice? Or can i replace it for something else?Where i live they don’t have that in the special store’s/supermarkets.